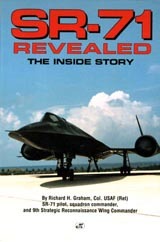 "It all begins with a desire," writes author Col. Richard Graham in the first chapter of Flying the SR-71 Blackbird, "a desire to fly the world’s most secretive, highest and fastest plane." 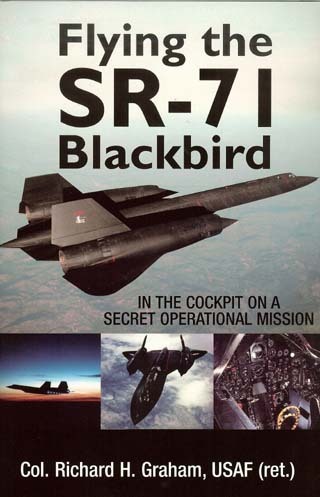 For anyone who has ever wondered what it’s like to fly the SR-71 on a secret Mach 3 reconnaissance mission, this book has the answers. Flying the SR-71 Blackbird: In the Cockpit on a Secret Operational Mission takes readers on an operational mission that only a few U.S. Air Force pilots have ever experienced. 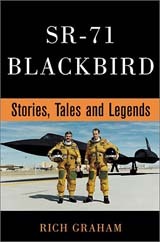 Col. Graham offers a rare cockpit perspective on how regular Air Force pilots and navigators transformed themselves into SR-71 Blackbird crews, turning their unique aviation talents to account in an unprecedented way. 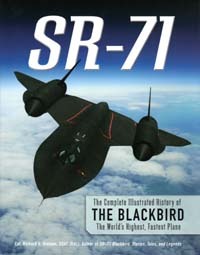 Shown to the public for the very first time, the book includes the once-secret SR-71 pilot’s checklist. Autographed copies of the books can be purchased directly from Rich Graham. The book is $29.00 ($30.15 Texas residences) and includes postage. Send a check to Richard Graham, 3501 Hearst Castle Way, Plano, TX 75025 for the book. Be sure to include who to autograph the book to and a return mailing address. Royalties from this third book have already been pledged to the Frontiers of Flight Museum here in Dallas for the maintenance and upkeep of the SR-71 simulator.